﻿ The strategy of successful business is simple- Reach for the masses and persuade them to try your products or services. In today's world, the masses can be reached online in an easier way with the help of Social Media websites that have literally sprung up in every corner of the web. Every campaign must have its objectives and you only need to create strategies for the accomplishment of those objectives. 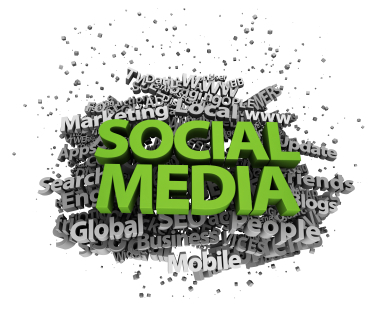 Below you will find the essentials of starting and maintaining a successful social media campaign. Where do you want your business to grow? What do you expect from the people? What is the time period when the objective should be achieved? Do you want to enhance your customer service? What are your profit maximization plans? Etc. 2- Setting up your campaign- After you have carefully decided your objectives, now its time to start a campaign. Before starting a campaign, prepare a list of social media websites where you want to grow this campaign and interact with your audience. Remember, every country has its specific social media website while some sites have global acceptance, so you should carefully decide your target. For example Facebook is popular in India and USA,Cyworld is popular in South Korea, Grono is popular in Poland,Qzone is popular in China etc. Besides these websites consisting of general audience, there are some specific websites as well where you may target a specific community of people. Some good examples are Hr.com for human resource professionals, Lawlink for law professionals, Flixster for movie lovers, WAYN for travel community etc. After you have carefully chosen your list of social media websites, you may set up a campaign either by yourself or by taking the help of some creative professionals who are expert in this field. For example, if you have chosen Facebook then the prime requirement would be creating a Facebook page, a creative person would give that page a unique design keeping in mind the background of your business and the kind of people who would be willing to join the page. 3- Engage with your audience- Now its the time to start interacting with your audience in an interesting and useful way. You may produce your own original content or you may just link to other content available on the web to make this interaction fun. Interaction is extremely necessary as it allows you to remain in front of the eyes of social media users. You may engage via articles,interesting news feeds, podcasts, videos etc. 4- Updating your Content- Constant interaction is necessary, frequent updation of conent present in your profile is welcomed by your audience. People love to interact with a person who is active and understand their tastes well. 5- Providing Feedback- Every business faces customer queries and when your business is in social media then it becomes even easier for the people to question you. You must provide relevant and valuable feedback to your customers or audience in general. This may help in spreading the word of mouth. Your customer satisfaction skills would come handy in these situations but remember feedback is really necessary.